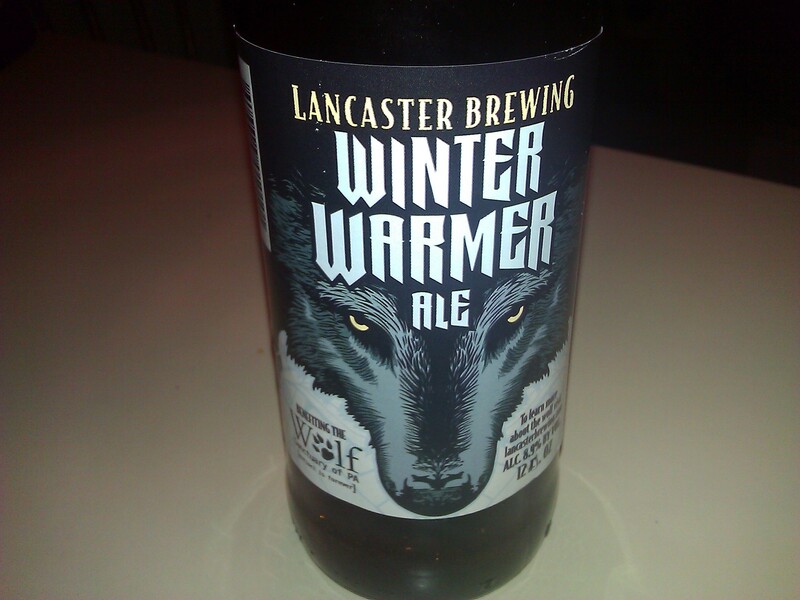 A good ale that has a portion of its proceeds benefitting the Wolf Sanctuary of Pennsylvania. Mild sweet nose with a rich full body of color in the amber to red range, that is nothing like what you’d think of with a red ale. Its visually reminiscent of a red ale against the light, but isn’t at all a red ale. As the six pack holder reads, it is a “complex malt flavor” that has a flavor adventure. I didn’t get the “warming alcohol flavor” but maybe you will. Or, maybe you’ll get the malty flavor adventure the ends with a wet dark bread aftertaste. It could just be how its mixing with lunch, but I’m getting either pumpernickel or rye. Not yeast but bread. One of the experts here is reminded of Whitbread a traditional olde English pale ale from London. I like this in the frozen glass, the colder the better. The frozen glass offers a sweet cordial aroma that was milder last time. 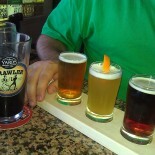 Its got the aroma of a liqueur and the flavor of olde ale with a sweet malt side. Having one now and this is a beer you want to enjoy, solely. Meaning when it’s time to enjoy this, you want this flavor and this flavor only. This entry was posted on December 4, 2012 by DuffBrew in Uncategorized.